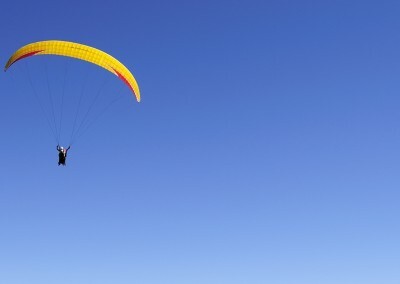 This is the chance to try your hand at para-gliding. 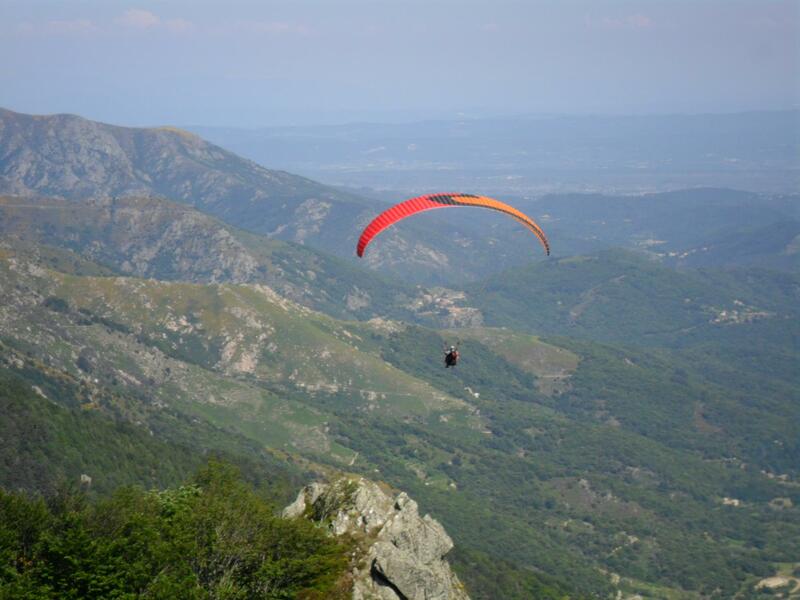 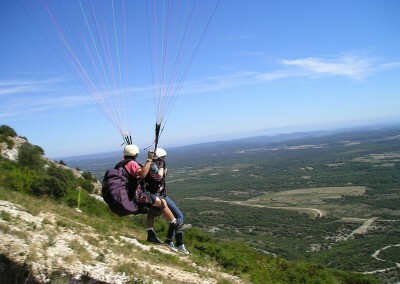 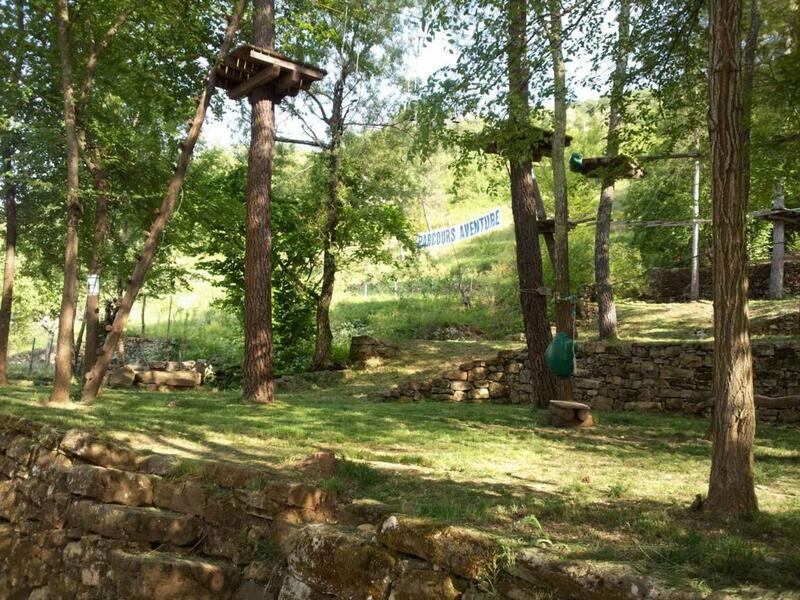 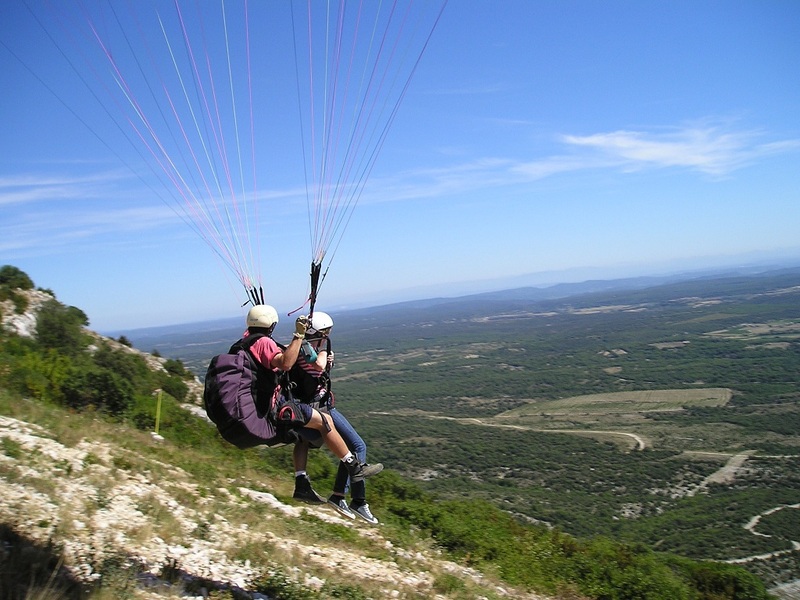 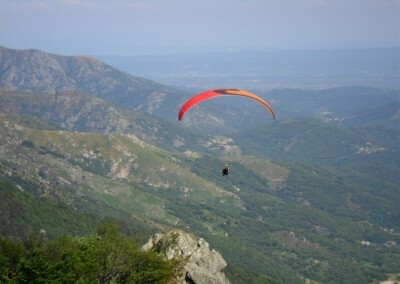 Enjoy magnificent views over the Monts d’Ardèche. 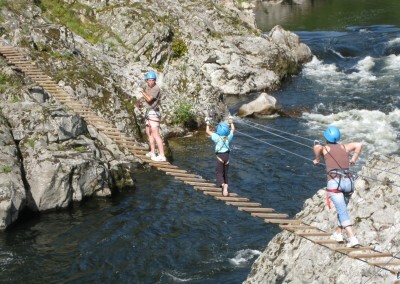 You will find a qualified guide in the centre of les Vans. A bit nearer to the ground but still requiring a head for heights, several “accrobranche” sites are to be found in or near les Vans. 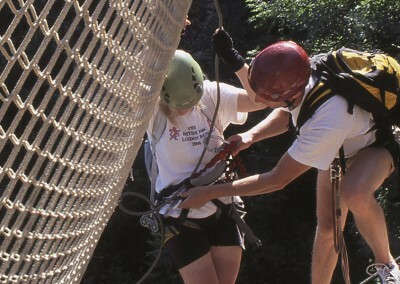 For adults and children over a certain height. 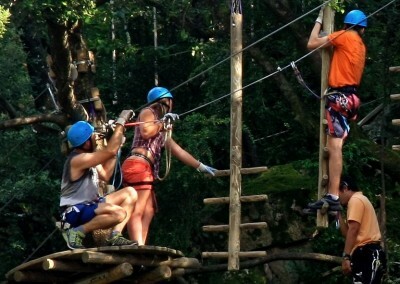 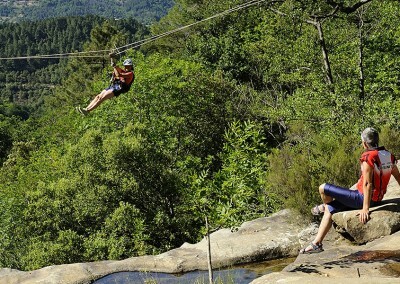 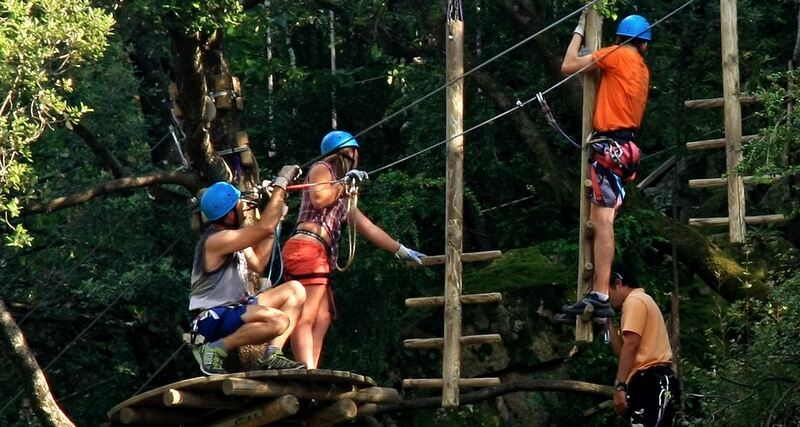 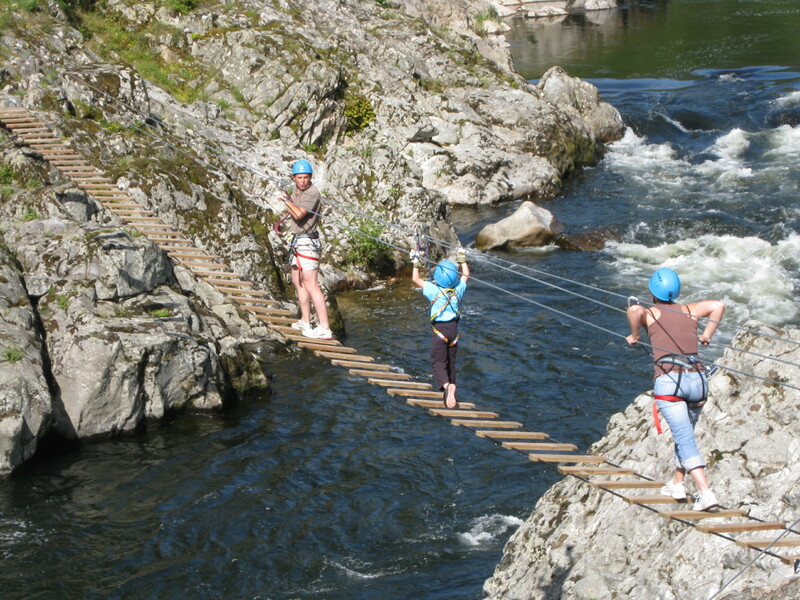 Yet another aerial adventure to try out – a via ferrata accompanied by a guide – children are accepted on certain sites.